MP4 videos provide DVD quality audio and pictures in an extremely small file size, friendly with most media players and portable devices such as the iPod, iPhone, iPad, HTC phones, Windows Phones, Android phones, tablets, YouTube videos, etc. It’s been one of the most used video format in our daily digital enjoyment. Convert Blu-ray to MP4 is actually another effective way to backup Blu-ray movies to let you play and watch Blu-ray movies on iPad, Apple TV, Android tablets and other devices. This guide will offer you detailed steps on how to rip Blu-ray to MP4 files with different Blu-ray to MP4 ripper software solutions. The tools used in this guide have both Windows and Mac versions. That means if you want to rip Blu-ray to MP4 on Mac, you could also refer to these tools. Most people would think about HandBrake as the first Blu-ray to MP4 ripper choice to rip Blu-ray to MP4. As an open source and completely free media converter program, HandBrake has been the first choice for many people to transcode video files from one format to another. With its availability for Windows, Mac and Ubuntu, it’s been widely used. HandBrake team has added Blu-ray and DVD converting features into HandBrake, making it even more popular. To rip Blu-ray to MP4 with HandBrake is not difficult at all. 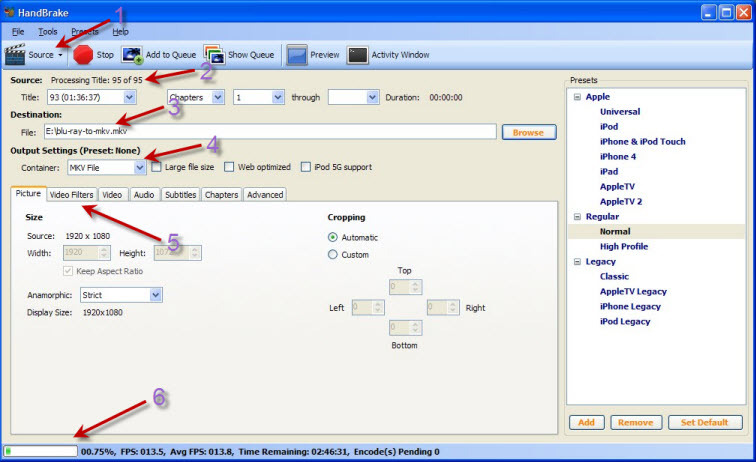 Only a few simple clicks would help you convert Blu-ray to MP4 video with HandBrake. Step 4: Start converting Blu-ray to MP4 with HandBrake by clicking the “Start” button next to the “Source” drop-down button. The ripping process would be viewable at the bottom of the program interface. Handbrake has a Mac version. Therefore it’s a useful Mac Blu-ray to MP4 ripper for you to rip Blu-ray to MP4 on Mac as well. 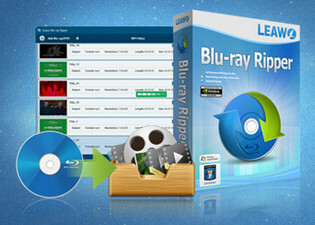 Leawo Blu-ray Ripper is a professional Blu-ray to MP4 converter software app that could rip and convert Blu-ray to MP4 videos for playback on multiple media players and portable devices such as Windows Media Player, iPad, iPhone, Surface, Galaxy S7, etc. 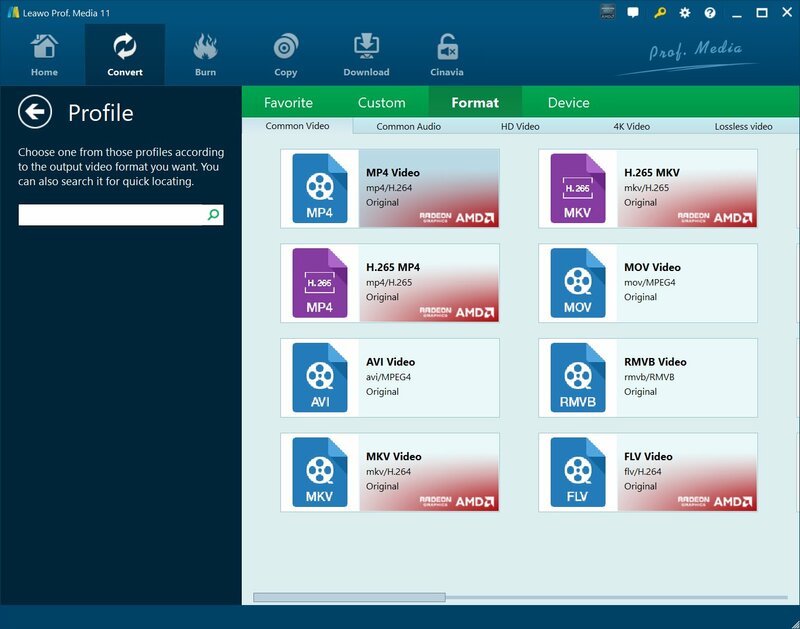 It offers high-quality Blu-ray to MP4 conversion, allowing you to retain subtitles and audio tracks in output MP4 videos from the source Blu-ray movies. What’s more, it could not only convert Blu-ray to MP4 videos, but also converts Blu-ray to MKV, M4V, MOV and other videos and extract audio off Blu-ray movies on your computer so as to let you enjoy Blu-ray movies on various media players as you like. The detailed guide below shows you how to rip Blu-ray to MP4 on PC with Leawo’s Blu-ray to MP4 converter. If you’re using a Mac computer and want to rip Blu-ray to MP4 on Mac, please download and install Leawo Blu-ray Ripper for Mac. Both Windows version and Mac version get the same program interface. Therefore, you could refer to Windows version of converting Blu-ray to MP4 guide below if you’re going to convert Blu-ray to MP4 video on Mac with the Mac Blu-ray Ripper of Leawo Software. Get your source Blu-ray movies ready for loading. Kick off this Blu-ray to MP4 ripper software, open the “Blu-ray Ripper” module, and then click the “Add Blu-ray/DVD” button to browse source Blu-ray movies for loading. You could add Blu-ray disc or Blu-ray folder. Note: While loading source Blu-ray movies, 3 loading modes are selectable: Full Movie, Main Movie and Custom Mode. Choose one according to your needs. Right before the big green “Convert” button, you could see a drop-down box. Click it and then select “Change” option to select “Format > Common Video > MP4 Video” or “Format > HD Video > HD MP4 Video” as output format on the popup “Profile” panel. Return to the main interface after setting output profile. Click the big green “Convert” button and then set an output directory on the popup sidebar. Click the below “Convert” button to start converting Blu-ray to MP4 videos. If you’re looking for a free Blu-ray to MP4 converter, HandBrake would be a wonderful choice. HandBrake is a multi-functional media converter solution combo that offers free service for people to convert videos, audios, DVD and Blu-ray movies for multiple uses. However, it’s actually not perfect for Blu-ray or DVD disc converting as it lacks disc decrypting ability, which results in poor performance in bypassing protected Blu-ray/DVD discs for backup or converting. The chart below is a simple comparison between Leawo Blu-ray Ripper and HandBrake. Check it out. Edit Blu-ray movies like: trim, crop, add watermark, adjust effect, etc. Audio MP3, AAC, AC3, M4A, M4R, etc.